Please see images for more details. These smaller denomination coins circulated widely throughout the United States. 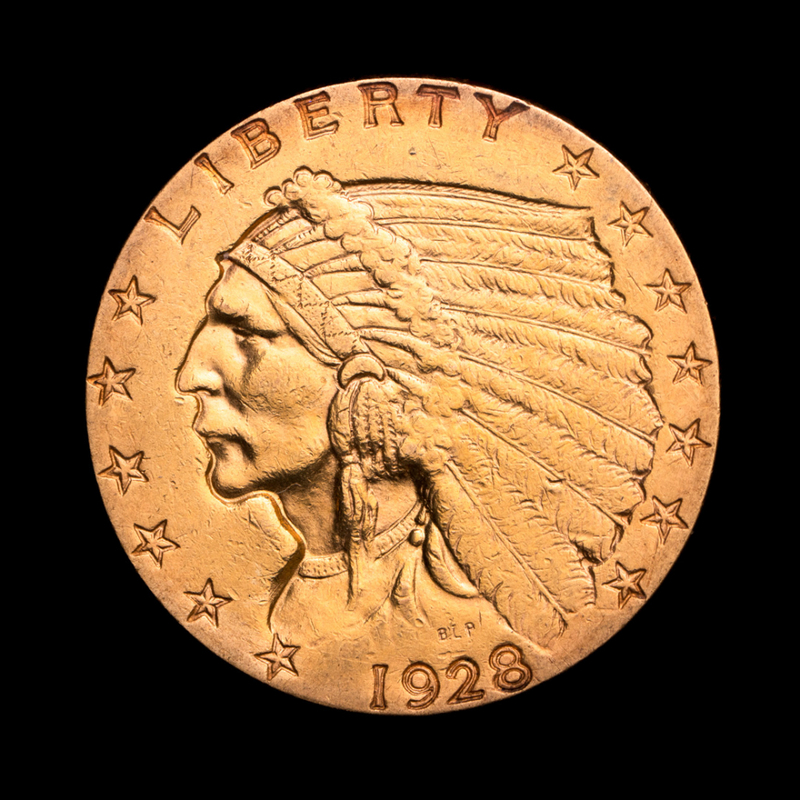 Minted for a brief 13 years, the $2.50 Indian is one of the shortest-lived series in U.S. numismatics, making it an appealing investment and collector’s item. 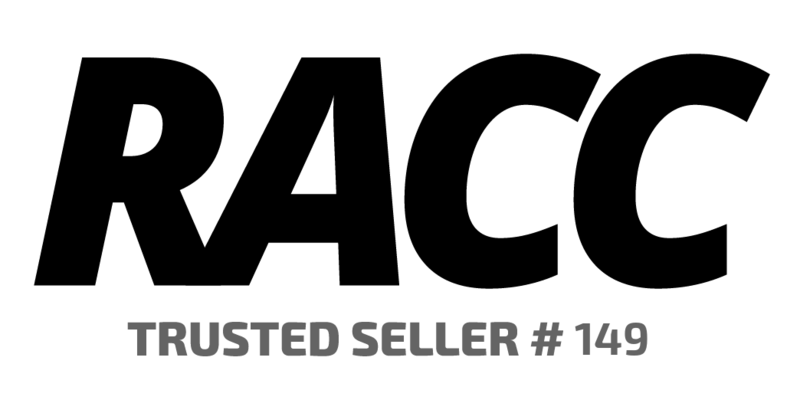 Combining their age, historical value and limited production make these coins a desirable addition to any investment portfolio or numismatic collection. 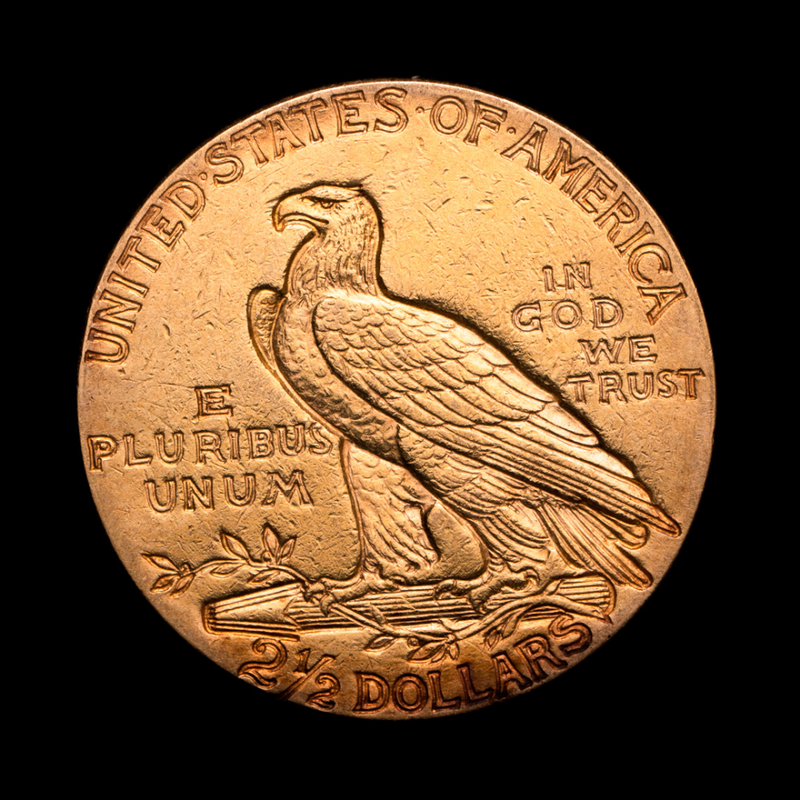 Designed by Bela Lyon Pratt, a student of Augustus Saint-Gaudens, the $2.50 Indian features legends and motifs that are incused rather than raised on the coin, making them one of only two U.S. coins minted in this manner. 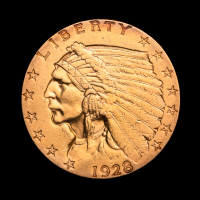 The obverse features a stoic Indian chief profile, surrounded by 13 small stars and the word "Liberty" along with the date. 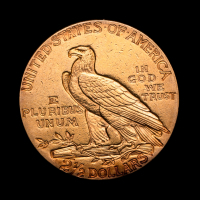 The reverse shows a regal bald eagle with a cluster of arrows and an olive branch, symbolic of war and peace, beneath the eagle’s talons.